If you live by the motto ‘Eat Well, Travel Often’ then you probably plan your holidays around the best food and wine adventures to be found, rather than visiting landmarks and historic sights. Amiright? In Queensland we’re spoilt with warm, balmy winter weather, but if you’re dreaming of fireplaces, red wine and some winter chill, then why not head south to experience the romance of Canberra this winter for The Truffle Festival! Currently in full swing, The Truffle Festival runs until the end of August with over 250 events being held across the region including degustation dinners, truffle hunts and cooking classes. 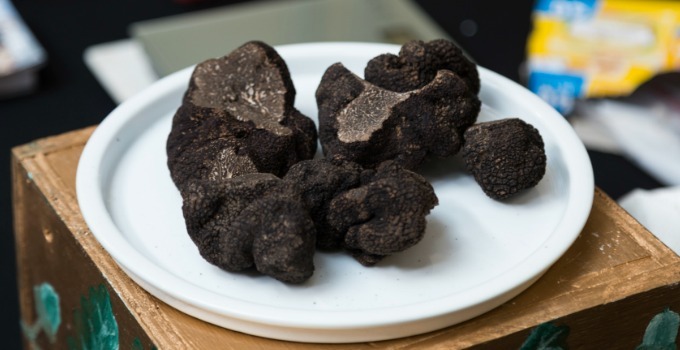 The winter delicacy certainly has an air of mystery about it and one of the best ways to discover the fascination of the black truffle is to join a truffle hunt. Head 30 minutes out of town to Turralla Truffles for a Truffle Hunt & Cook Adventure with Damian, his family and the cutest Jack Russell pups ever! Rug up against the winter chill and follow the pups out to the truffière as they sniff out whether the truffles are ready to harvest. While in Europe they use pigs to forage for truffles, in Australia you can train any breed of dog to find truffles and Turalla’s Jack Russell dogs Eight, Frisbee and Gecko certainly know their stuff. Within minutes of the truffle hunt, they’re unearthing huge truffles (going rate $2/gram) so it looks like it’s going to be a bumper truffle season! Return to the warmth of the rustic farmhouse and enjoy the spoils of the hunt with a truffle inspired long lunch. Kickstart your truffle obsession with oozy truffle triple brie cheese and fireside chats with fellow festival goers. Then if you’re game, sample Damian’s fiery truffle infused vodka! 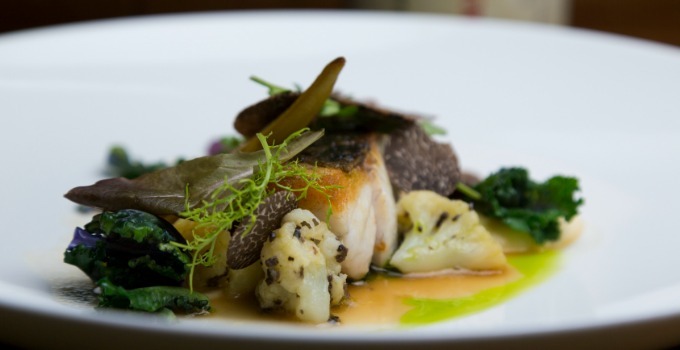 If you’re up to the task, jump in the kitchen with Damian as he prepares various truffley courses, or just step back and watch the magic happen with a glass of local Collector wine in hand. Damian claims he’s “not a cook, but a food enthusiast” but we think he’s being modest, as we taste the delectable truffle mushroom dumplings with truffle cream and shaved truffle. Oh my! The menu continues with generous lashings of truffles in every course and Damian jokes each guest probably eats around $100 worth of truffles during lunch, gulp! Great value grazing as the Hunt and Cook Lunch Adventure is just $180pp for a full day foodie journey. Now that you’re educated about all things truffle, enjoy a winter wine tasting experience at Mount Majura Vineyard. Taste a flight of three wines matched with drool worthy truffled brie. The Flinders Estate brie is decadently creamy and layered with fresh truffles accompanied by apple and thyme paste, organic honey and walnuts. Paired with amazing tipples such as the 2015 The Silurian Sparkling Pinot Noir Chardonnay, the 2016 Chardonnay and finishing with the incredible museum release of the 1999 Pinot Noir, we definitely thought about moving in. When you’ve officially eaten and drunk everything truffle, retire to Hotel Realm to sleep off your food coma in style and comfort. The hotel is certainly the capital of cool with minimalist, Scandi style vibes and is the flagship within the Realm precinct which also houses top notch restaurants including Buvette Bistro, wholefoods café Maple + Clove and hatted Japanese restaurant Lilotang. The Truffle Festival – Canberra region continues until the end of August, so scan the event calendar and start planning a truffle fest adventure this winter. Words by Sally Scott @alluxia The writer was a guest of The Truffle Festival and Hotel Realm. Photo credit The Truffle Festival – Canberra Region.